DetroitKnitter: A non-hash related Beer Mile! 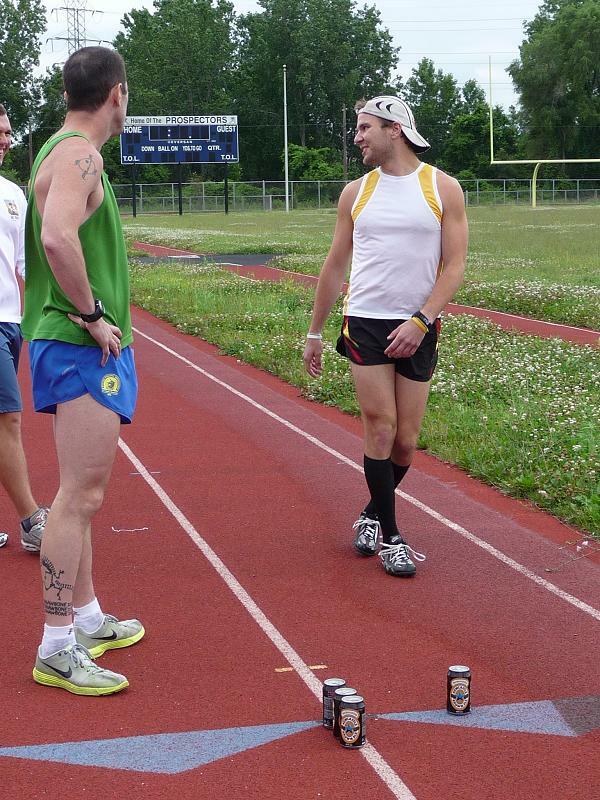 A non-hash related Beer Mile! This time it wasn't even the hashers that put on this event; although there are 3 hashers participating. Oh, and other than the one all-state track guy, the 3 hashers are the fastest. With this competition however, it's not the fastest that always wins. The rules: You have 4 beers of your choice. The beer must be in a can and drank from the can with altering the can this means no shot gunning, no cups, no straws, etc. 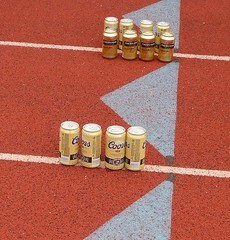 Each participant must drink one complete beer before starting the next lap. 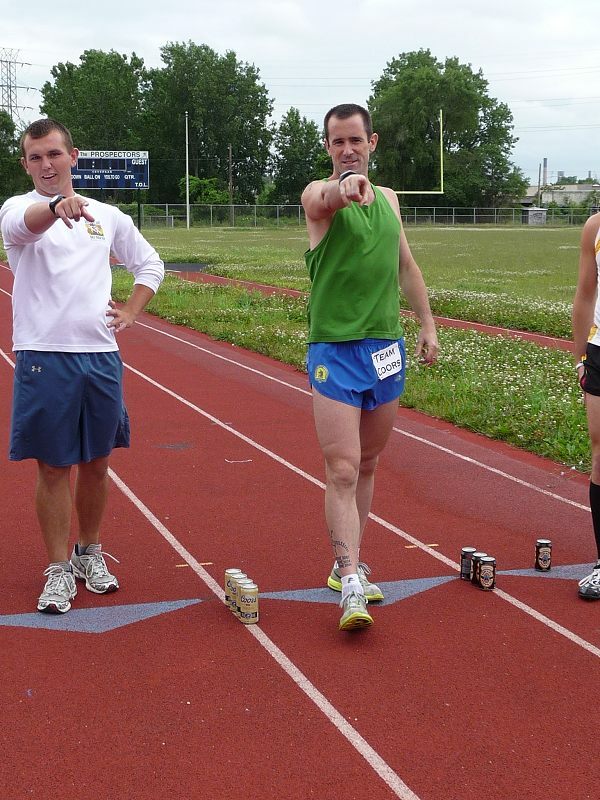 So you drink a beer and run a lap then drink a beer and run a lap; so in all you drink 4 beers and run 4 laps. (A lap is 1/4 mile). If you puke, you must run one additional lap after the 4th lap before you are considered across the line; no more than 4 beers must be consumed though. 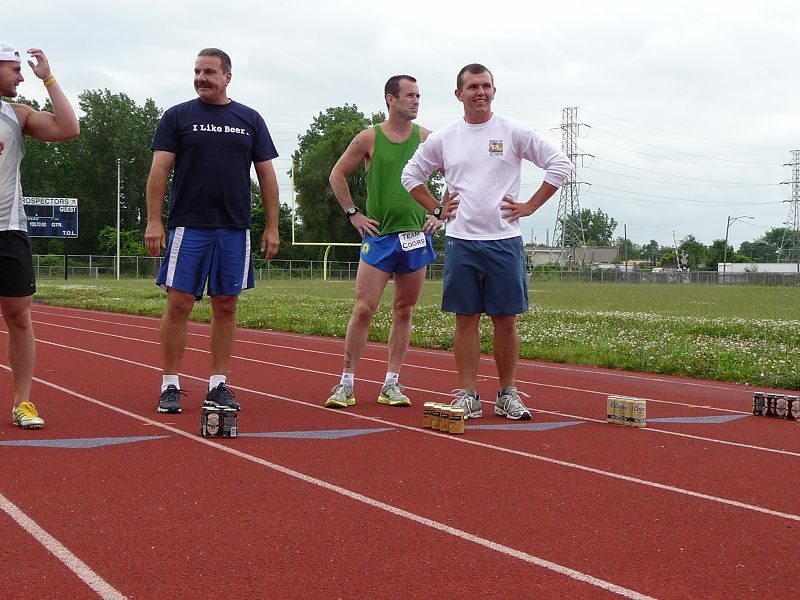 In this race it was determined that the beer must be finished before crossing the next line, which was about 20' from the start. This allows running and drinking at the same time. Nick, aka Drunkorexic crosses the finish line first with a time of 6:27 (I think - I'm waiting on the official time) and no puking penalty lap! Believe me though, there was plenty of puking going on. I have a long video of the race, but I would'nt want to gross everyone by posting pictures of the puking... it was funny as hell though!